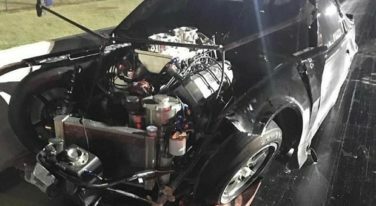 When Lizzy Musi crashed boyfriend Key Kelley’s famous “Shocker” Chevrolet Camaro in testing at Northstar Dragway in Denton, Texas on Thursday night, Kelley stated the incident was due to replacement of the Street Outlaw class car’s steering wheel, which moved the location of its transbrake button. Lizzy Musi has been breaking records in the Pro Drag Racing Association ever since her fifth race in the Pro Mod Pro Nitrous class at the first PDRA U.S. Drags at Virginia Motorsports Park back in 2014. The 26-year-old drag racer has already set two more records this year.